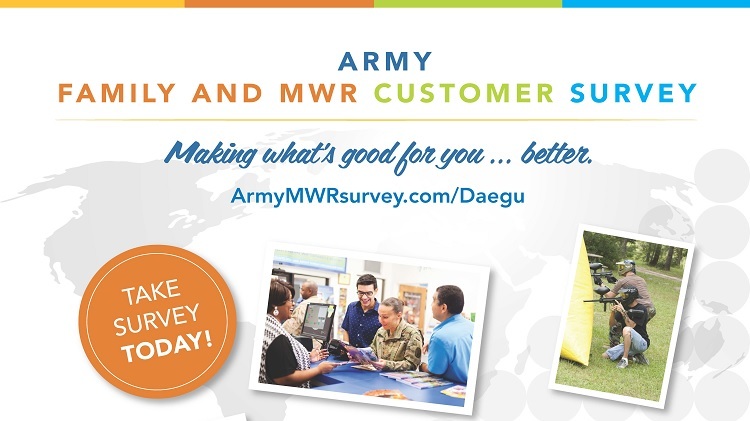 The Family and MWR Innovation Customer Assessment Survey will provide insights to Army Leaders on which programs and services you find vital to your quality of life. Please complete the survey and let your voice be heard! Go to ArmyMWRSurvey.com/Daegu and take the survey NOW!